During a new installment of TBS' Storyville, Diplo recounted his favorite Kanye West story, during which he reveals 'Ye was spot on about a couple early predictions. As the famed producer/DJ narrates an animated clip, during a production by Mass Appeal and Okayplayer, he takes fans back to the Watch The Throne era and recalls how West predicted his marriage to Kim Kardashian, who was still married to basketball player Kris Humphries at the time. Per Diplo's recollection, during one of the star-studded recording sessions for his collaborative project with JAY-Z, West randomly burst into a room at the Mercer Hotel, declaring, "I'm going to marry Kim Kardashian. I'm going to be president one day. And I'm going to be a fashion designer." As many can attest, getting two out of three predictions correct isn't too shabby. 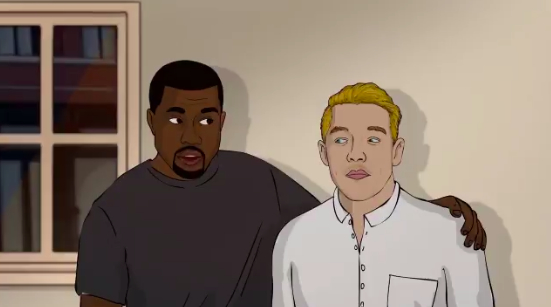 Check out Diplo recounting Kanye West's eerily accurate predictions in the episode below.